Cape May Brewing Co. in Cape May offers offers free guided self tours every single day! 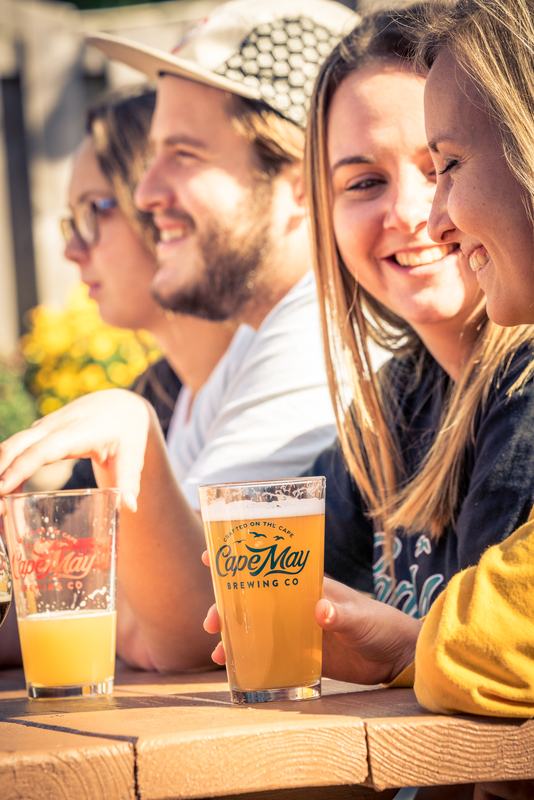 Everyone on the Brew Crew at Cape May Brewing Company is passionate about their product and thrilled to share that passion with visitors. Their knowledgeable Beertenders are happy to answer any questions you may have as they guide you through your tasting. Cape May Brewing Company offers FREE self-guided tours, available during normal business hours. Self-guided tours allow for a brief, behind-the-scenes peek at the brewery and equipment. Learn about the brewing process and the people behind the Cape May Brewing Co in a 20-30 minute guided tour. Plan to arrive 15 minutes prior to your selected tour time. No reservations necessary! Take a tour and stay for a pour! More information can be found here! It’s against the law for us to serve food, but please take advantage of our BYOF (Bring Your Own Food) policy. For children and your designated driver, we do offer pints of Root Beer, Ginger Ale, and other seasonal sodas (if available), made in-house.